Ever since the world began to be truly globalized the question of other religions has been brought to the forefront of modern thought. The question is not new by any means but whereas in previous ages other religions could be dismissed as things only existing in some faraway land, today we meet and interact with those of other religions every day. For Christians – who ascribe to the sovereignty and exclusivity of God as the creator and sustainer of the world and history – this question can be particularly pressing. McDermott‘s book God’s Rivals is an attempt to explain the phenomena of other religions from a Christian perspective with special focus on insights gained from the Bible and from early church fathers. McDermott begins by dealing with what can be referred to as ‘the scandal of particularity’. That is first question approached is the question of why God hasn’t revealed himself fully at all times and places. With this McDermott begins delving into the biblical text, noting how even in the Old Testament God talks about wanting those outside Israel to know him. Even further, McDermott sees God as having used the cultural context in which Israel was in to teach them truths about him, thus “God used common cultural (and religious!) practices to teach new religious concepts about himself and his ways to his people” (p35). These include such things as circumcision, rites of purification, and other such symbols and practices which line up the surrounding culture. McDermott also argues that the Hebrews were influenced by and found insight in the literature of their neighbors, thereby demonstrating that the non-Hebrews had some true knowledge of God. Following this McDermott delves into the reality of other divine beings in the Old Testament, the ‘hosts of heaven’ and other supernatural beings that don’t fall easily into the modern understanding of ‘angel’ or ‘demon’. As McDermott states: “Bottom line: Yahweh is not ‘alone’ in the heavens, as it were. There are other supernatural beings ‘up there,’ some allied with him and working to carry out his designs, and others opposed to him and actively working to frustrate his purposes” (p46). Based on texts such as Deuteronomy 29:25-26, McDermott sees evidence that “Yahweh delegated supervision of other nations to other (in the context ‘subordinate’) gods, while he exercised direct supervision of Israel” (p.47). This would mean that “[the Israelites] were told not to worship other gods, not because those gods did not exist, but because they were supposed to rule other peoples, not Israel” (p56). With this Old Testament foundation laid McDermott moves on to analyze the New Testament. The key point of this section is noting how the New Testament writers saw the gods as having some real presence behind them, albeit demonic. These beings were defeated by Christ but – just as battles are still fought after the decisive victory – so the demonic forces still continue to fight. Even these religions with demons at their back McDermott sees as teaching some truth about God, truth which God can ultimately use in his plan of redemption (p.83). With the Old and New Testament perspectives laid out McDermott turns to the early church fathers, beginning with Justin Martyr (who largely echoed Paul), Irenaeus (who believed all are given sufficient revelation to be saved, or at the very least would be given the knowledge after death and offered a chance at salvation), Clement of Alexandria (who believed that things such as Greek philosophy served as a sort of preparatory training for the faith). Clement is especially interesting as he saw these “secondary approaches” as “meant to lead to the primary way of faith through Christ. The secondary approaches are starting points and preparatory trainings intended to lead people to faith in Christ. They are ways to salvation, not ways of salvation” (p123). Following Clement is Origin similarly believed that pagan teachings can be useful, even for Christians in the sense of ‘spoiling the Egyptians’. This approach is essentially the “all truth is God’s truth” approach. McDermott spends some time talking about various aspects of Origin’s vision of the cosmos and man’s relation to the supernatural, much of which is peripheral to the larger discussion. It’s unclear why McDermott spends so much time here and much of this chapter is arbitrary and generally pointless. Human cultures have created alternative religions in response to both divine revelation in nature and conscience and to the mixed teachings of fallen angelic powers. God did not abandon human beings, however, to error and rebellion. Instead, out of love for every culture and person, by means of the Logos he sprinkled seeds of truth and even prophets (though quite different from biblical prophets) among the new religions – lest too many would be utterly lost. This is why the religions are a mixed bag and cannot save. They contain broken fragments and refracted traces of revelation, not the fullness of revelation that is the gospel. They have only reflections of light, not the light itself. They are like the moon rather than the sun. In sum, they contain hints and shadows that participate in the Logos. But in the Christian revelation one can see and be joined to the Logos himself” (p159, 163-4). Finally, McDermott recommends studying these other religions to see the truth that is them, truths which can help remind us of the truths of Scripture or express them in a way that gives us better insight. McDermott sees God as working with humanity even through these distortions, not offering direct and real knowledge but indirect and partial contact which can help prepare people for the full truth. In sum, McDermott offers an interesting introduction to a biblical theology of the ‘supernatural’, of the spiritual world, a world which most of contemporary Christianity either actively dismisses or passively ignores. He organizes his book well: basic question, Old Testament analysis, New Testament analysis, church fathers, and then the implications of all of this. Many of the themes covered by McDermott are similar to those covered by Michael Heiser in his book The Unseen Realm. One key difference is that McDermott is looking at the issues through the lens of the broader question (‘why has God allowed different religions?’) while Heiser is offering a wholesale biblical theology of the spiritual world from the ground up. A second key difference is that whereas Heiser focuses largely on exegeting the text and dissecting the ancient Near Eastern context, McDermott focuses more on insights from the church fathers following a cursory analysis of the biblical text itself. Due to the limited nature of McDermott’s work it is only natural that he is unable to dig too deeply into the text, and given that he has chosen to focus on the church fathers it is understandable that he doesn’t address the ancient Near Eastern context to a very large degree. That said, I think it would have served McDermott’s central question – ‘why has God allowed other religions’ – better, and would have made for a better book. Along these lines, McDermott – in my opinion – spends too much of his space summarizing the thoughts of the church fathers. These thoughts are surely important as a dressing on top of the exegesis and contextual analysis, but they do not warrant the weight that McDermott gives to them. His approach gives his conclusions less of an authoritative “this is why God has allowed other religions” and more of “this is what a handful of church fathers thought about other religions.” Thus, while the overall organization of McDermott’s text is solid, the analysis of the church fathers is given more weight than should be done. McDermott’s final conclusions are rather underwhelming and essentially boil down to “because free will.” In fairness his answer is more nuanced than that – God speaks truth through these religions, they’re pedagogical, there are real spiritual entities behind them – but the answer hinges on free will. The best aspect of McDermott’s work – in my opinion – is his understanding of the nature of spiritual warfare (exemplified in the D-day analogy below). He fails to predict or answer possible objections to any of his ideas. There are many objections that can be made to his specific interpretations of various texts and McDermott spends little to no time looking at potential objections or other interpretations. For instance, McDermott contends that God has sprinkled truth into the other religions; it might just as easily be claimed that these religions have rather stolen truths from the true faith (as heresies tend to do). Again, McDermott relies entirely too heavily on patristics for his evidence; if his focus is on the bible and the early church fathers, the scale dips heavily on the side of the church fathers. 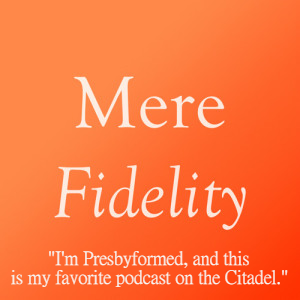 It’s often unclear to what degree McDermott is merely conveying and summarizing the beliefs of the church fathers and how much he’s agreeing with them. McDermott makes some pretty tenuous connections, like trying to connect Psalm 104 to the Egyptian hymns of Amenhotep just because they use similar imagery – such as rains being sent to water the earth or lions coming out at night – when the more probable explanation is that both are describing things common to their experience. Two people writing about the rain doesn’t mean one inspired the other, it means they’ve both seen rain; and if they both believe a divine being provides the rain, then both are going to say that god sent the rain. For McDermott, however, this is proof of ‘non-Hebrew sources influencing the Hebrew writer’ (p37). There are two key aspects of biblical theology that McDermott seems to be unaware of and which would have helped flesh out his thought. The first of these is the missional nature of the Old Testament, that is, the way in which ancient Israel was meant to have a missionary focus. 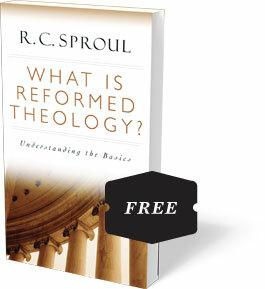 The second – and more important – aspect is the nature of biblical covenants and specifically the relation between law and grace (namely, that grace comes first, and that the entirety of the biblical narrative – Old and New – are all founded on grace wholesale). This misunderstanding on McDermott’s part is best exemplified in his statement that “God’s punitive legal system was going to be superseded by grace” (p74); this is an extremely common misconception and one that fundamentally misunderstands the grander narrative of the Biblical narrative, of redemptive history. I have discussed this elsewhere.